The issue of women in history has been neglected until relatively recently. Hence the historiography on the effects of the Reformation on the lives of women is quite up-to-date. Cissie Fairchilds and Peter Wallace have two contrasting opinions which will both be explored in this essay. Fairchilds argues that the Reformation brought ‘some losses but more gains’ for women and ultimately improved women’s status in society. Conversely, Wallace argues that the reformation ‘bound women more tightly to men’s authority’ which diminished their status. These two opinions are irreconcilable, so one must triumph over the other. In this author’s opinion, the Reformation allowed women a measure of freedom, more than had been achieved in the Medieval period, but they were still ultimately subject to patriarchal authority. It was not until much later, into the twentieth century, that women managed to completely break away from man’s authority. The Reformation acted as a catalyst for these later changes. In examining the Reformation in relation to women it is politic to look at several fields of interest: education, marriage, witchcraft, religion, scholarship and monarchy. These key areas will demonstrate the effect of the reformation on the lives of European women in the sixteenth century. Women’s education did not change much throughout the sixteenth century. Both supper and lower class women were still considered intellectually inferior to men, and received largely a housewifely education. For example, sewing, cooking, cleaning and raising children. Upper class women also received an education in the social graces like dancing, singing, the languages and etiquette, to allow them to flourish at court and find a husband, important parts of a noble woman’s life. Allegedly this was because the female brain had an ‘incapacity … for logical thought’ and that educating women would take them away from their posts as housewives and mothers. Men believed that the female brain could not handle subjects like philosophy, theology and the sciences. There was also a very real worry that educating women would affect the social balance of society. The Reformation was important to education because it not only highlighted male education, but also the deficiency in female education across the classes. Early Protestant reformers did disagree with this negative view of female education, and believed that both boys and girls should be able to read, although this did not really come into practice until the seventeenth century. However, it was a direct result of the Reformation. Teaching both sexes to read also fulfilled an ulterior motive, as Protestants believed that everyone should be able to read the Bible for themselves in order to form a personal connection with God. It was necessary, therefore, for both men and women to be literate. However, this did not mean an equal education for men and women. Some Catholic humanists also believed in female education. For example, the tutor of Mary I of England, Juan Luis Vives, advocated an education for women, but still believed that they should obey their husbands and be good wives. Vives also believed that an education for women should be restricted to those who might need it, like princesses. He was concerned that otherwise it would encourage women to speak out of turn. From reading just the opening page of Vives’s work, The Education of a Christian Woman, it is obvious that he believes that any woman who is a ‘true’ Christian will heed his advice. Dedicating it to Katherine of Aragon, the Roman Catholic queen of Henry VIII makes it clear what he thinks a true Christian woman should be. Using phrases like ‘pious’, ‘good’ and ‘selfless’ plainly demonstrates Vives’s own view of women and his religious devotion. Thomas More was another Catholic humanist who took this view, and educated his daughters as well as his sons in subjects like Latin, Greek, philosophy and theology. More’s daughter, Margaret Roper, was well-known for assisting her father in his academic endeavours, and she continued studying after his execution in 1535. Women were largely taught at home in the sixteenth century as official schools for women were not set up until the seventeenth century. Merry Wiesner-Hanks maintains that the Reformation ‘increased opportunities for female education’, claiming that Catholic areas of Europe lagged behind Protestant areas. In schools across Catholic Venice in 1587-8, for example, they had 4,600 male pupils and only 30 female. What this suggests is that although female education was becoming more popular, it still lagged significantly behind the male equivalent. Conversely, in Protestant Saxony, by 1580 10% of parishes had licensed schools for girls, and by 1675 this had increased to 40%, compared to 80% for boys. It appears that the Reformation acted as a catalyst for women’s education. The Reformation only began to change ideas about women, but it took the passage of time to truly make an impact, and develop what the Reformation had started. The main reason for the lack of development was that educating women was seen as being detrimental to marriage. Marriage was the ultimate expression of patriarchal authority. Women were always at the mercy of their husbands, and could not make a lot of decisions for themselves. This changed slightly with the Reformation, although ultimately patriarchal authority remained in place and was accepted. Before the Reformation, marriage was seen as a sacrament because it demonstrated the relationship between Christ and the Church. Reformers disagreed with this perception and denounced rites that were controlled by human regulations. If people put the regulation in place, it was not ordained by God. Luther saw the sacramental status of marriage within society as ‘un-biblical’. What these points outline is how much the reformers relied on Scriptural teachings. There is no mention in Scripture of marriage being a sacrament, and so the Protestants used that as a basis for their arguments against it. This was a key Protestant idea, used in demolishing several Catholic beliefs, like the worship of saints. Christine Peters examines marriage in England in the early modern period, and claims that the debate over the sacramental status of marriage remained in the academic sphere, rather than becoming an issue which affected the general population. The changes which were implemented as a result of the Reformation remained principally in the upper echelons of society, and barely affected the majority, who carried on largely as before. The home was ‘the only sphere where Lutheranism achieved any revolution in attitudes’ as Luther denied that virginity was superior to marriage. What he saw was that the true state of a woman was as a wife, not as a nun. This affected the home situation of many people, as women were encouraged to marry and reproduce, so more dowries were needed, which also stretched the economic circumstances of families. Clerical marriage was seen as a ‘public endorsement’ of the Reformation. If even the clergy married, it set an example for others to follow, which many people inevitably did. Many reformers who were in the Church married, like Thomas Cranmer, the Archbishop of Canterbury. Martin Luther himself married an ex-nun, Katharina von Bora. No one appeared to question the changes which allowed the clergy to marry, which they had not been allowed to do before. What this change to the domestic sphere did ultimately alter was that women came more under the control of men, rather than less. A convent was about the only way for women to avoid being within male power, but the Reformation removed that haven. Marriage was the only viable remaining option. 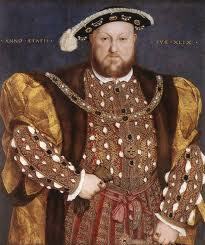 The most high-profile marriage case of the sixteenth century was Henry VIII’s ‘Great Matter’ in the 1520s. 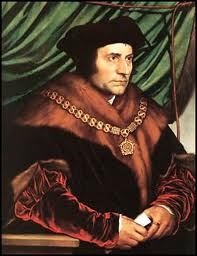 Henry wanted to annul his marriage to Katherine of Aragon and marry Anne Boleyn in order to get a son and heir. There were several cases in his family of marrying for love – both of his sisters eventually did so. Anne Boleyn acted as the catalyst of the break with Rome because of the divorce. 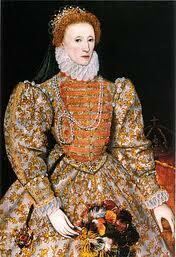 In the sixteenth century divorces were only really granted to the upper classes, who had power, influence and wealth. It was rare for the majority of the population. This is a clear case of where a woman managed to wield the power in a relationship. Anne managed to hold Henry off for seven years before marriage, wielding her virginity as a reason to do so. A woman’s position in marriage could work in her favour. Peters asserts that the Reformation could not completely revolutionise the institution of marriage, no matter how much the reformers wanted to. What this suggests is that, because the people carried on largely as before the reformation, the new ideas could not take root and blossom. Although the reformation probably had the most impact on marriage, it still could not transform the institution. Women who did not marry were seen as unnatural and became targets for witch-hunters. 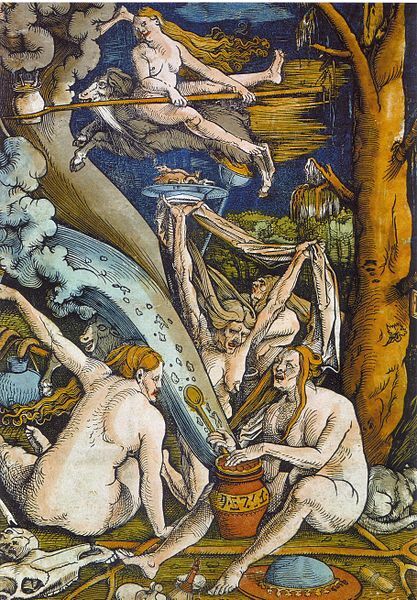 Witches by Hans Baldung Grien (Woodcut, 1508). Witchcraft is a popular subject for historians. What has been less studied is how the witchcraze related to the Reformation. Both Catholic and Protestant countries had cases of witchcraft, but they increased in number during the pivotal period of the Reformation and derived from a wider attack on popular culture. The key period for witch-hunts was the second half of the sixteenth century. James Sharpe claimed that witchcraft operated ‘within the context of the reformation and counter-reformation’. Witchcraft did not become a major factor in people’s lives until the Reformation, and it died out as the religious situation across Europe settled down and stabilised. It can be seen that witchcraft was the personification of a fear of instability. In some Catholic countries, like Italy, Spain and Portugal, there were actually relatively few witch trials. These were countries which had an established and enforced religion, and felt less of the upheaval of the Reformation. However, Pope Sixtus IV still felt that the danger was enough to warrant him approving an Inquisition to deal with them. The Inquisition, although originally dealing with Jews and Moors in Spain, widened out to include heretics, and then witches. In Spain in particular, witches were brought under the control of the Inquisition by an expansion of the definition of heresy. It cannot be a coincidence that witchcraft trials were on the rise as heresy trials were decreasing. Women in particular were accused of being witches rather than heretics, possibly because of the gap in education between men and women. Women were not supposed to understand religion. In Scotland there were large-scale witch-hunts in 1590, 1597, the 1620s and 1649. This was after the period of wide-ranging heresy trials. Hence, it can be argued that witchcraft was merely an alternative way of accusing heretics, without calling it ‘heresy’. When examining cases, such as those on the Old Bailey, witchcraft cases appear to be filed under religious offences. In itself this offers an insight into the relationship between the Reformation and witchcraft. Witches were seen as heretics; spreading discord and threatening stability. Where heresy was less widespread, so was witchcraft. According to Wiesner, the Spanish killed only a handful of witches, the Portuguese just one, and the Italians none. However, this does not mean that there were no trials; these are just the figures relating to executions. It seems that Catholic countries were more lenient than Protestant ones. Many of the Catholic countries were in southern Europe, and the witchcraze seemed to take hold more in the northern part, like Germany and Scotland. Contrary to in Catholic countries, in Protestant countries witchcraft was seen as a remnant of Catholic beliefs and a product of ignorance. Prosecutions in Scotland of witches did not really begin until 1590, although it was the opposite in the Low Countries where they had almost died out as early as 1578. These regional differences cannot really be explained effectively, as there does not seem to be any obvious differences between the countries. Possibly in the Low Countries it was due to other issues which were at the forefront of people’s minds, like the fight for independence in the north in particular. This is similarly unexplainable as the fact that in places like Russia and Estonia the majority of witches who were executed were men rather than women. Statistics are cited as being just 32% of witches were female in Russia compared with 82% in Germany, for example. These figures imply that Eastern Europe had very different views to Western Europe, possibly because Eastern Europe was less divided by religion. The connection between witchcraft and religion was a key one. Women’s role in a religious life was in some ways diminished and in other ways heightened. Convents and nunneries were closed down as a result of the Protestant Reformation. According to John Todd this was because ‘it was easier to abolish [monasticism] … than reform it’. Religious houses were notoriously corrupt and very wealthy. Monarchs, particularly Henry VIII in England, also saw the religious houses as a way to replenish their own severely depleted treasuries, and wipe out the general consensus of corruption among the population. On the other hand, the closure of these religious houses restricted women’s access to a religious life away, largely, from patriarchal authority. This was really the only alternative to marriage and the only acceptable way for women to be involved in religion. However, women were not generally considered to be as greater threat as men. Women were seen as inferior and were not as well educated. Many convents managed to survive for years after their male counterparts had been forced to close. For example, in central Germany in Magdeburg and Halberstadt half of female convents survived, but only one-fifth of male monasteries. This demonstrates that men were considered to be more of a threat to the stability of society than women were. Men were also likely to have an influence over women, so it was seen as more important to change the men’s opinions and then it would filter down, from men to women, nobility to peasantry. It has been argued that not only were men more of a threat, but that women suffered more as a result of their vows due to the ‘repressive nature’ of the convents which came to light through challenging clerical celibacy. Even before the Reformation, the numbers of women entering convents was decreasing across Europe. In England in 1350 there were 3,500 nuns, compared to just 1,900 nuns in 1534 on the eve of the Reformation. This demonstrates that it was not as a direct result of the Reformation that women’s involvement in religion declined. It was probably that women were more inclined towards marriage anyway, particularly when the harsh conditions of nunneries came to light. Possibly convents merely seemed archaic. There were examples of women leaving convents when they converted to Protestantism. In 1523 Leonhard Koppe smuggled twelve nuns out of a convent who had converted. They included his daughter and the future wife of Luther. Obviously there were attempts to stop women converting, and there was not a general acceptance of Protestantism across Europe. In England women were affected by the dissolution of the monasteries more than men were as the size of the pension they received depended upon their place within the convent, and women had less choice of other occupations than men did. Women could either marry or take the veil, and there were no other options for them. Men could take an alternative role in the church, go into politics or work manually. To counteract the lack of spiritual life, women tried to take a more active role in religion outside of the convents and nunneries, but women as both priests and preachers were frowned upon across Europe. These were seen as no job for a woman to do. Educated women were a threat and women needed to be literate to really understand religion. According to Peter Wallace, women were heard most in more radical movements like Anabaptism, which spread most in Germany. Possibly this is because it gave them the most chance to express themselves, as neither Catholicism or Protestantism allowed them to do. Women in some places were also martyred for their support of both the Protestant Reformation and Catholic Counter-Reformation, as some refused to leave converts, preached, prophesised, wrote pamphlets and even converted their husbands. This demonstrates that women did have some power, but they were still ultimately reliant upon men. It shows that women such as Anne Askew were frowned upon for reaching outside their prescribed box and entering into male territory. As women were not allowed a part in religious life, they had to find other outlets like writing. Katherine Parr at the National Portrait Gallery. Women were becoming more involved in writing and publishing because of the Reformation. The Reformation allowed women to write about a ‘masculine’ subject: religion. The idea of the Bible in vernacular allowed women more licence to read and interpret and writing could also be done in the vernacular, which was previously unheard of. Because women were not largely educated in classical languages like Greek and Latin, writing in the vernacular meant that they had more access to it. High-profile women were also becoming more involved in writing. Marguerite of Navarre, the influential sister of Francis I of France, had some reformist tendencies and wrote the Mirror of a Sinful Soul (1531). However she allegedly saw herself more as orthodox rather than heretical. Terminology like ‘Protestant’ was not in use at the time. Possibly because royal and noble women had so much power they saw an opening to influence the general population. 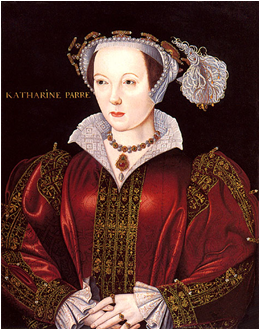 Similarly, Katherine Parr, the last queen of Henry VIII, wrote a book called the Lamentations of a Sinner (1547) which was ‘the first work of its kind in English written by a woman’. She comes across as an evangelical, but ‘closer to Calvinism than Lutheranism’. Either way, she promoted more than just reform of the existing Catholic Church. Parr concludes her work with a reiteration of her argument. She maintains that people need to amend their lives to live ‘according to the doctrine of the Gospel’, also writing about the evils of the Papacy, the reading of Scripture, preaching, and the marriage of priests. Parr certainly exhibits several key Protestant ideas and did have connections with noted Protestants, like Anne Seymour, the Countess of Hertford, Katherine Brandon, the Duchess of Suffolk and even the Protestant martyr Anne Askew. Derek Wilson suggests that Katherine Parr developed her evangelical convictions as a result of the New Learning spreading around the English court. Henry VIII was surrounded by reformers in his household and Privy Council, and his son was also educated by reformers like John Cheke and Roger Ascham, who also tutored the future Elizabeth I. This suggests that women were influenced by what surrounded them. Contrary to the case of Marguerite of Navarre, who formed her own opinions, Katherine Parr was very much a product of the court in which she lived. Pamphlet literature was another very influential case of women’s writing. In Germany, people like Katharina Zell, Anna von Medum and Argula von Grumbach wrote pamphlets supporting and defending the Protestant Reformation. Argula von Grumbach wrote a pamphlet in 1523 which had twelve editions, and promoted a more open society; she wanted an open debate on Scripture with people, both men and women, free to make decisions for themselves. Twelve editions was a lot in the sixteenth century, and so it demonstrates the appeal of Grumbach’s arguments, and how many people probably read the said pamphlet. It seems to go further than religion, also promoting women’s rights. It was writings like this that helped to spread the ideas of the Reformation, and promoted the New Learning. The works that came from women in power were particularly influential in the upper echelons of society, but pamphlet literature was more popular with the general population. Literature and writing, as seen above, was also popular within the monarchy. Female rulers were not generally accepted throughout sixteenth century Europe, and even into the seventeenth and eighteenth centuries after the Reformation. John Knox wrote in his First Blast of the Trumpet Against the Monstrous Regiment of Women (1558) that female rulers like Elizabeth I in England, and Mary Queen of Scots went against the law of God, and claimed that they were a threat to public order. It seems likely that Knox’s ideas were shared by the vast majority of European society. Women were seen to be unstable and vulnerable. However, there are examples of very successful female rulers across Europe – Elizabeth I in England, Margaret of Austria who acted as Regent of the Low Countries, Catherine de Medici who acted as Regent in France, and Isabella I of Castile in Spain. Donald Kelley highlights almost certainly what was a commonly held view; that a woman was a ‘shadow of a man’. Women were seen to be both physically and intellectually inferior to men, and their rightful place was said to be under male authority. Female rulers did not fit into this mould because they were not subject to any authority except God, or in Catholic cases, the Pope as well. In France, Louise of Savoy, the mother of Francis I, took control of France while her son was imprisoned by the Emperor Charles V in 1525. She wanted support of the Pope and so attempted to act against heretics in France. Allegedly Louise of Savoy was always very controlling and actually took precedence above Francis’s queen, which should not have happened. However, Francis still had the final decisions, and disapproved of many of his mother’s actions, as came to public attention after his release by Charles V. Similarly, Phillip II of Spain appointed Margaret of Parma to rule the Low Countries in his stead, but she was a mere tool and had to keep centralising the government, against her own inclinations. Many regents were subject to the rules of the monarch, and most regents were within the Holy Roman Empire which included Germany, the Low Countries and Spain. This was because the territories were so extensive that it was impossible for the ruler to be everywhere at once and he had to rely on others to rule in his stead, which necessarily had to include women. The Low Countries had been ruled by a succession of female monarchs. Before Margaret of Parma, regents of the Low Countries included Margaret of Austria and Mary of Hungary. The reason for this was possibly because the Low Countries was used to being ruled over by a woman, and so it seemed sensible to carry on the tradition. Catherine de Medici ruled as a regent in France over her three sons: Francis II, Charles IX and Henry III. She had to take guidance from her advisors, but ultimately all decisions rested with her until the king came of age. Queen mothers in general could still retain influence after their children came of age. One notable queen mother was Marie of Guise in Scotland. She managed to retain power as regent over her daughter, Mary Queen of Scots. Female rulers were one of the major changes of the Reformation period because they became more accepted, as women’s roles changed. It became understood that women were capable of ruling and deciding policy. To conclude, it seems that Cissie Fairchilds’s opinion that the Reformation brought ‘some losses but more gains’ for women is fairly accurate. Although women did gain a measure of freedom with the Reformation, they were still ultimately subject to patriarchal authority, and continued to be so until as late as the twentieth century. However, the Reformation did act as a catalyst for later changes in favour of women. Differences in class could be further examined. The Reformation appears to have had more of an effect on upper-class women, rather than the majority, possibly because they had the understanding and power to exact change. There are also some countries which have been less examined and would benefit from further study; for example, the Low Countries, Italy or Scandinavia. Of the themes examined, there is also a lot more to explore within them. Although witchcraft has attracted a lot of interest, women’s education and writing has not achieved as much attention as it should. In this author’s opinion, there is much more to write about on the subject of women in the Reformation. What should draw attention is to what extent the Reformation was the driving force for later gains for women. The Reformation had long-lasting effects in a large variety of areas, and it gave women the push they needed to begin break away from patriarchal authority, which they had been subject to for many centuries.